Apple Watch is the tech giant’s answer to wearables. 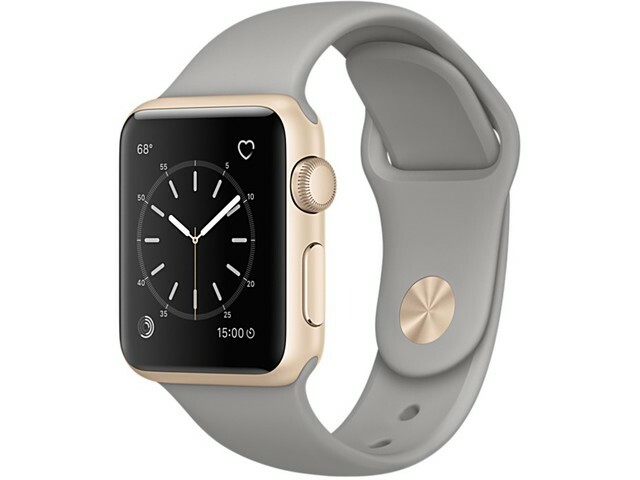 Choose from a 38mm or 42mm gorgeous Stainless Steel or Space Black Stainless Steel watch, and customize it with your choice of watch strap: from buckles to loops, woven nylon to milanese loop, sports band to link bracelet, all in a huge range of colors and finishes to keep you looking at your best. Apple Watch keeps your life moving at your own pace, with all of your notifications now simply a glance away. It also tracks you movements throughout the day, along with various other health and sports data to assist you in staying fit. You can fully personalize the watch face with things that matter to you, whether that be your agenda for the day, your upcoming flights, the day’s health data, important reminders, photos of your family, or even a clock face!